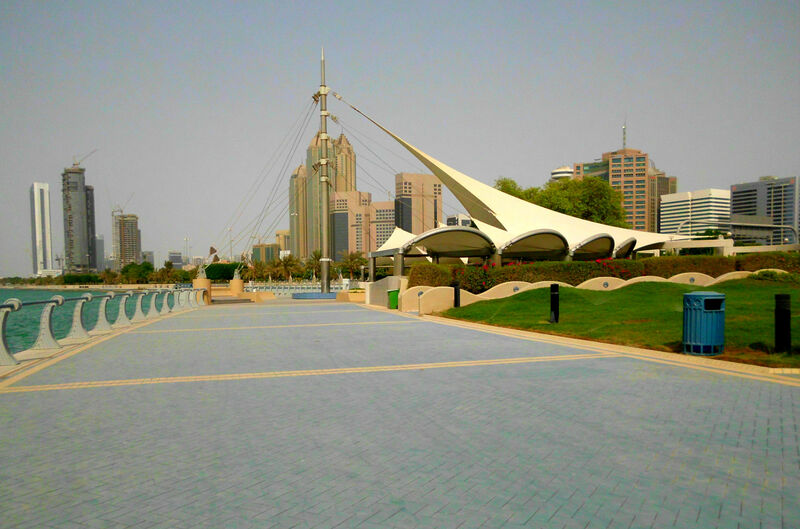 I walked on the path along the Corniche, taking in the beauty of the Arabian (Persian) Gulf. As it turns out, if you head out around noon in the summer, when it’s about 110-115 degrees, you have the path all to yourself. I walked for miles without seeing a soul. Fine by me, it’s easier to check out the sights and snap photos when it’s deserted. 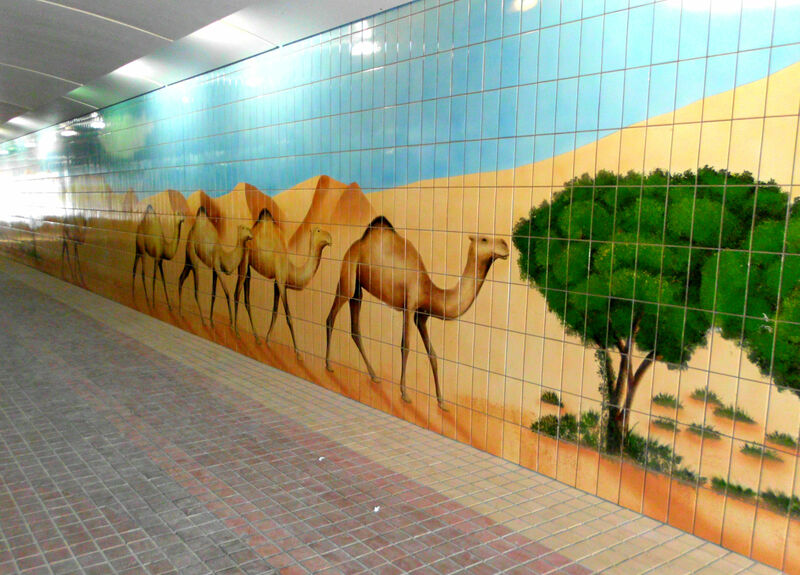 Abu Dhabi has many underpasses that allow pedestrians to avoid traversing dangerous streets, like the Corniche. At first, I thought they’d be sketchy, but they actually have surveillance cameras. 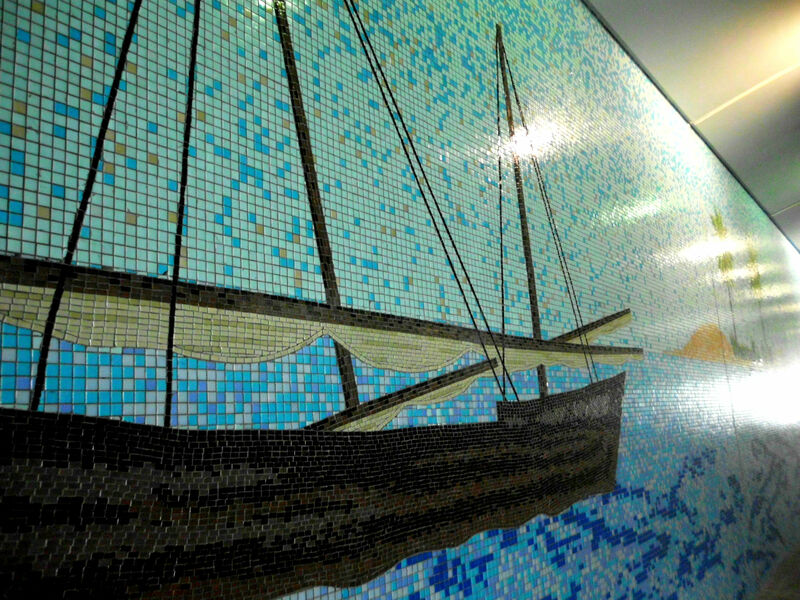 Many of them sport beautifully tiled walls. 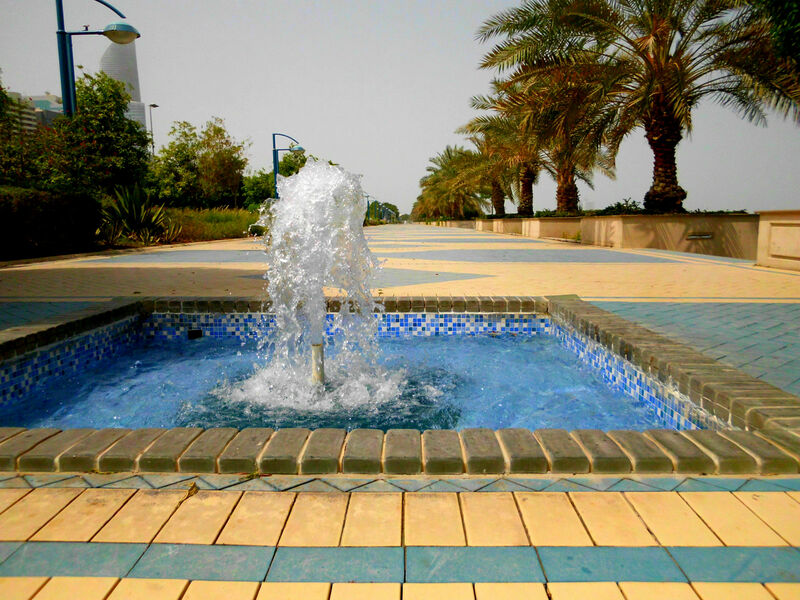 Once again, Abu Dhabi’s cleanliness for the win! Hey, U.S. urban planners, let’s get more of these in our cities! 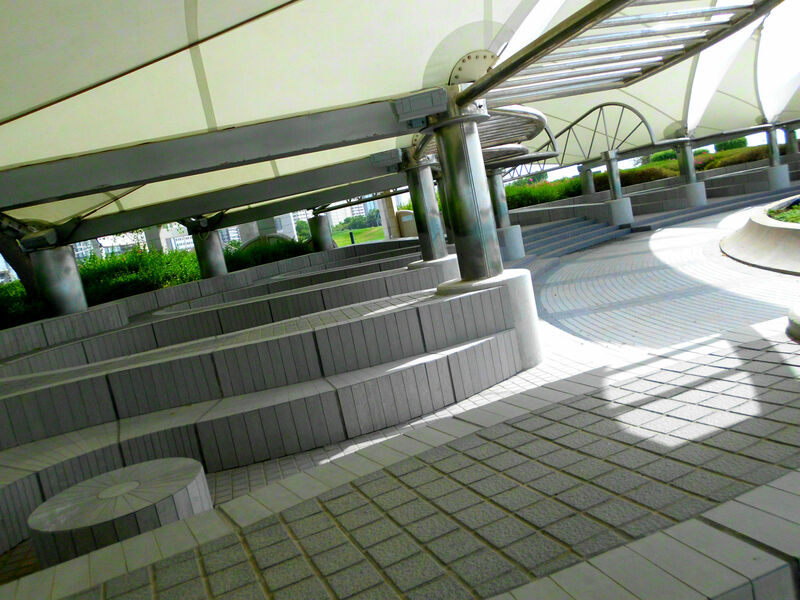 Then, when I grew too warm and needed to take a water break, I ducked under one of the shaded areas. Those awnings really are lifesavers (possibly literally)! Now, to the heart of this story. 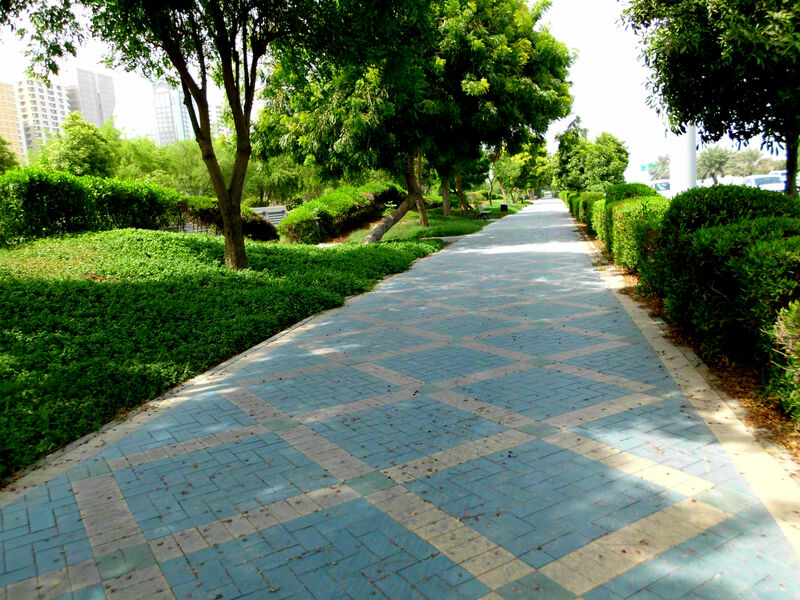 Because Abu Dhabi is incredibly clean, I was baffled when I stepped into a dark, sticky pile during my walk. Grrrr… did I really just step in poop?? As I mentioned in a previous post, I hadn’t even seen any animals, so how could I have stepped in poop? What is that on my shoe? And then it hit me. I looked up and realized it’s…. 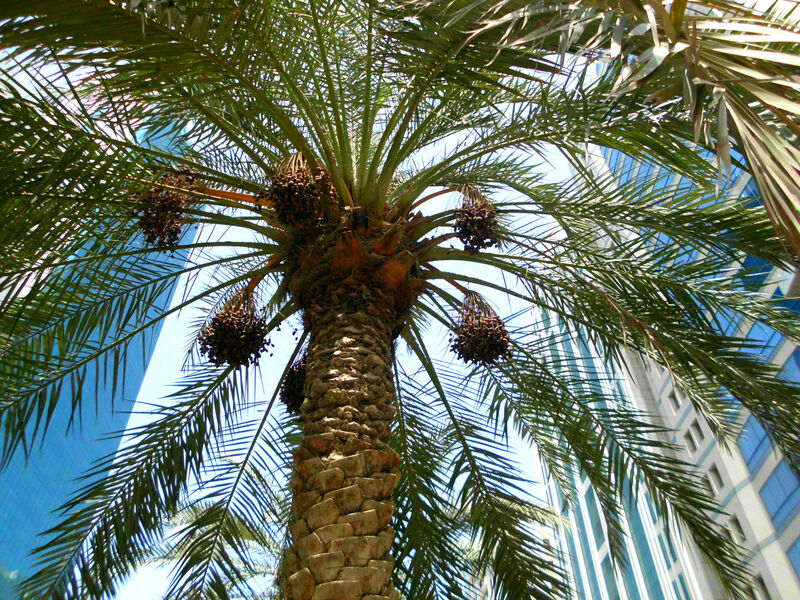 Date palms are everywhere in Abu Dhabi. Everywhere. I was tickled because I grew up eating dates but never before had seen them outside of a market. I scraped the goo off my shoe and paid more attention to the bountiful fruit trees all around me. 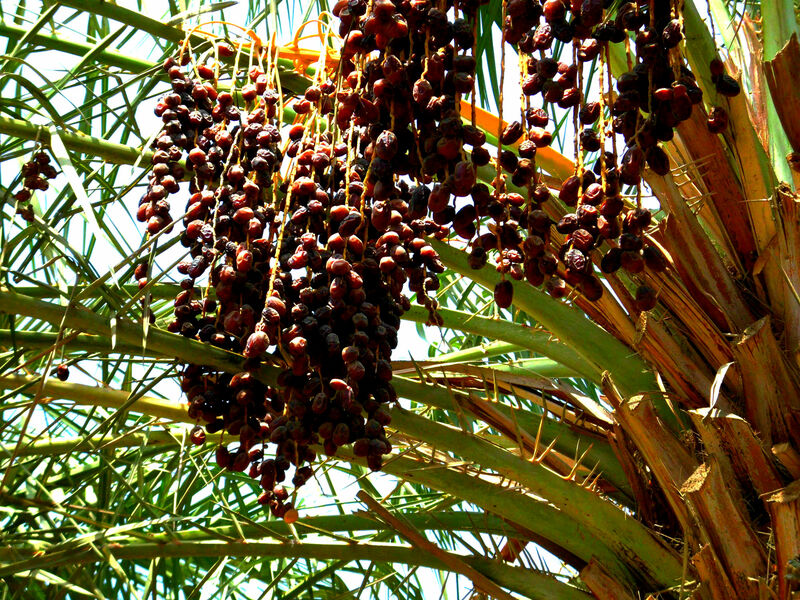 I never realized how many types of dates exist until I went to a market and the young woman selling her wares had about a dozen varieties. I bought two different types: one pretty standard variety and a higher end, juicier date that practically melted in my mouth. Let’s just say the free samples paid off for that woman because I bought many dates. Many, many dates. 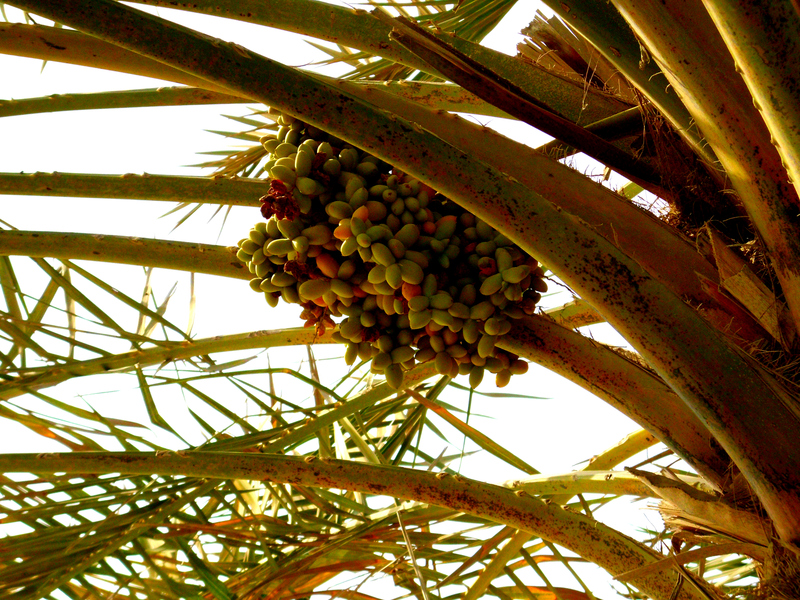 Once I started paying attention to the prevalence of dates, I noticed them in various stages of ripeness on the trees. 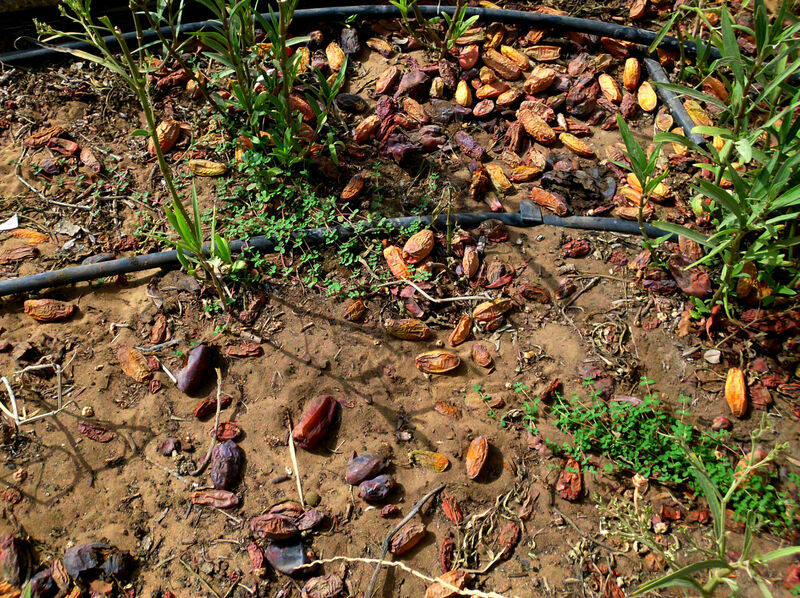 They littered the ground and the sweet, pungent smell of fermenting dates filled the air in various parts of the city. 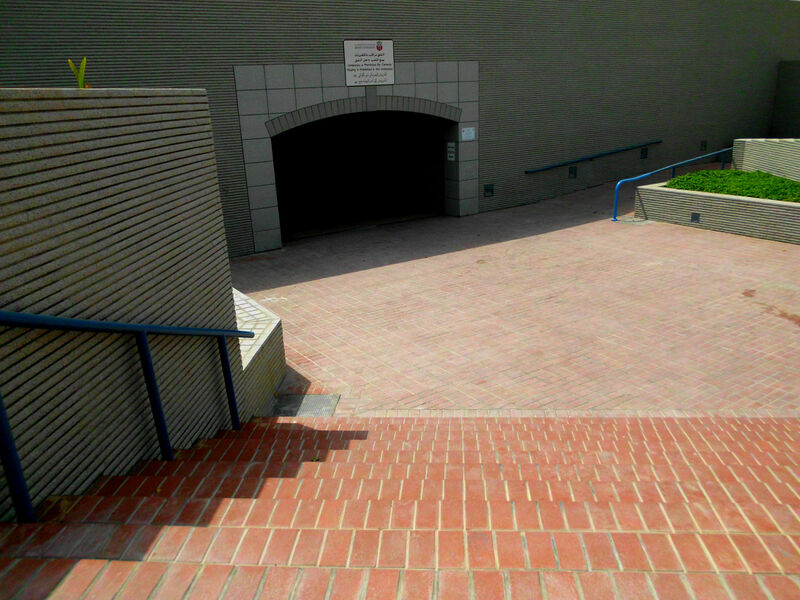 I began watching more carefully where I was walking. I mean, don’t some of these look like little turds all over the ground? Obviously, they’re not, but stepping on dates can create a similarly frustrating experience of doing a weird dance to remove the mess from the bottom of one’s shoe. 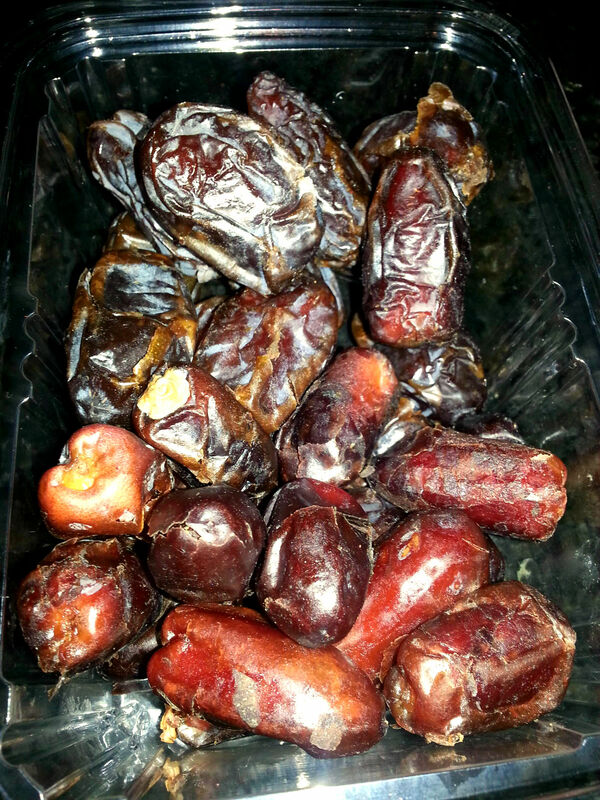 Perhaps even more fun than discovering dates everywhere was observing date bags. Upon first seeing them at a distance, let’s just say my group shared many inappropriate jokes about men’s anatomy. Again, yes, we’re 12. 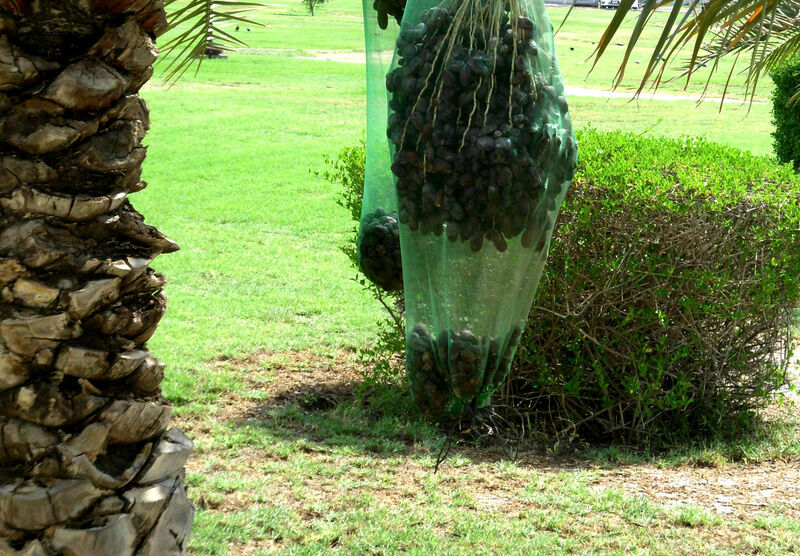 Anyway, the bags apparently not only catch the ripe dates before they tumble to the ground, but they also keep pests and birds away from the precious fruits. If only I were taller and could pluck one of those tasty morsels directly from the tree. The markets will just have to suffice. When you visited in Palm Springs did we take you to the date store? 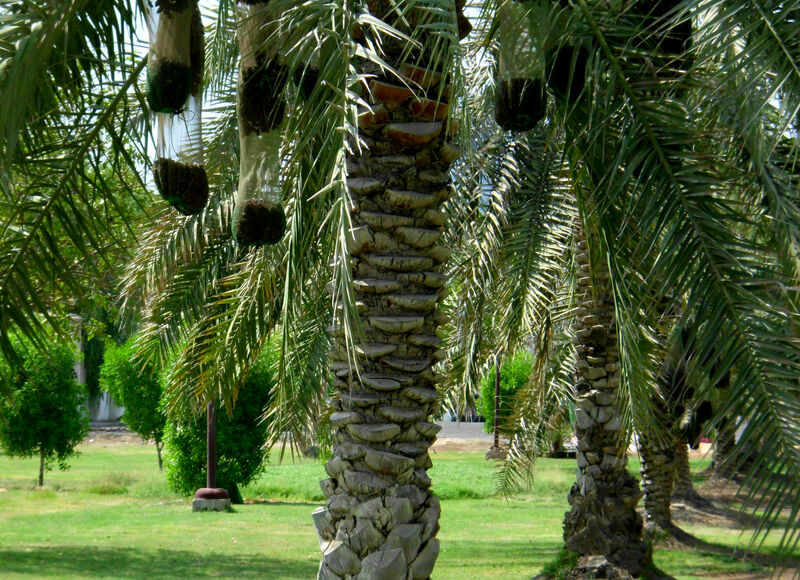 Dates are so prevalent and the shops make ‘date shakes”! I , also, never knew how many date types there were.